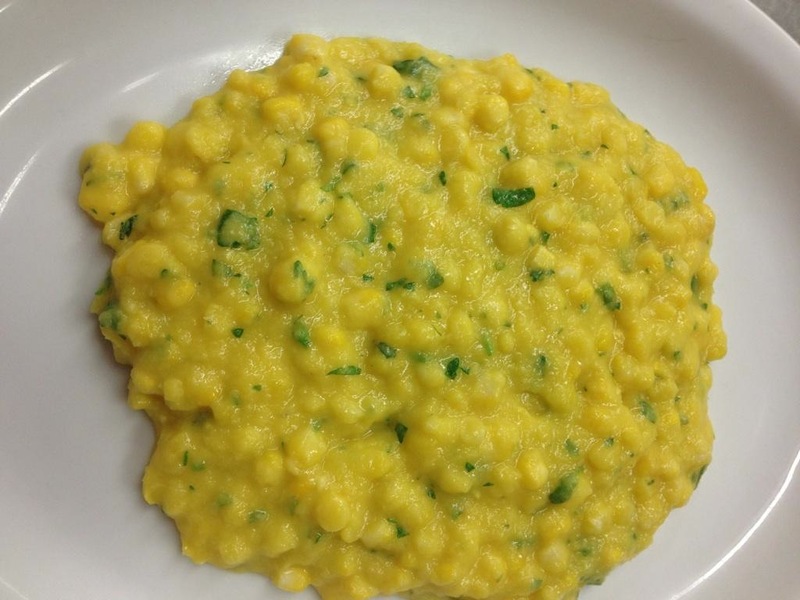 Sweet corn and heirloom tomatoes are the highlights of summer produce. 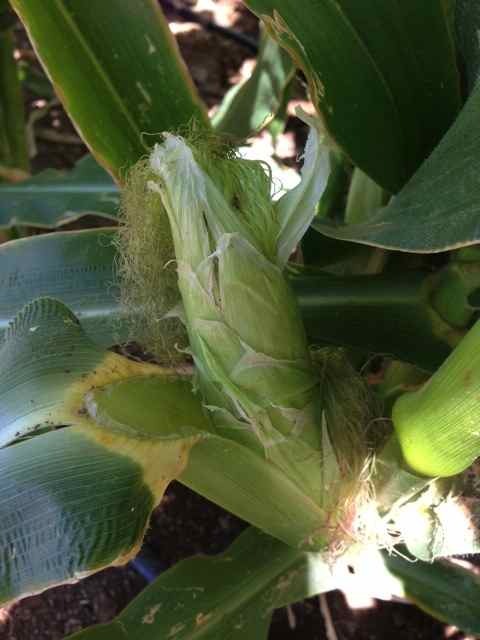 We apologize to anyone who did not get sweet corn at the Town & Country Farmers’ Market last week. We brought 90 dozen (yes… 1080 ears! ), but they sold out quickly. Not to fear, we are bringing much, much more tomorrow. But given how good this corn is, I would still advise that you get there early. 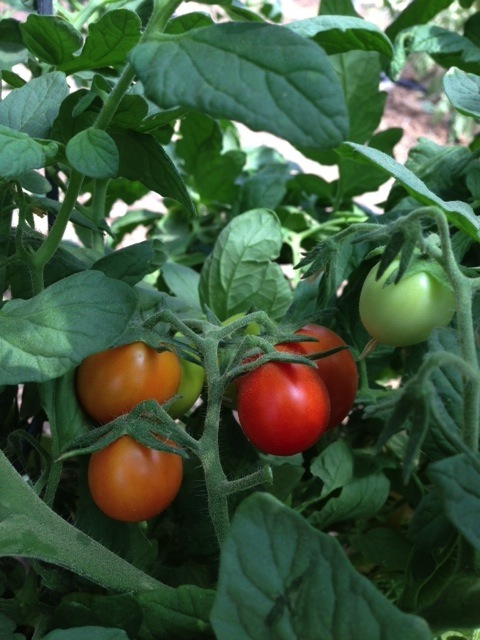 There will be some heirloom tomatoes, but in limited supply, so again, set that alarm clock! 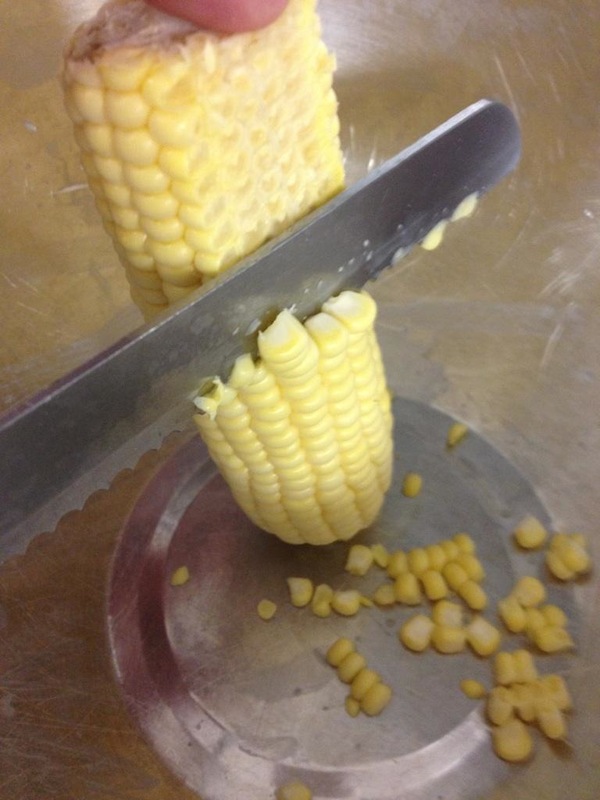 Shuck corn and then cut the raw kernels off of the cob with a bread knife into a bowl. 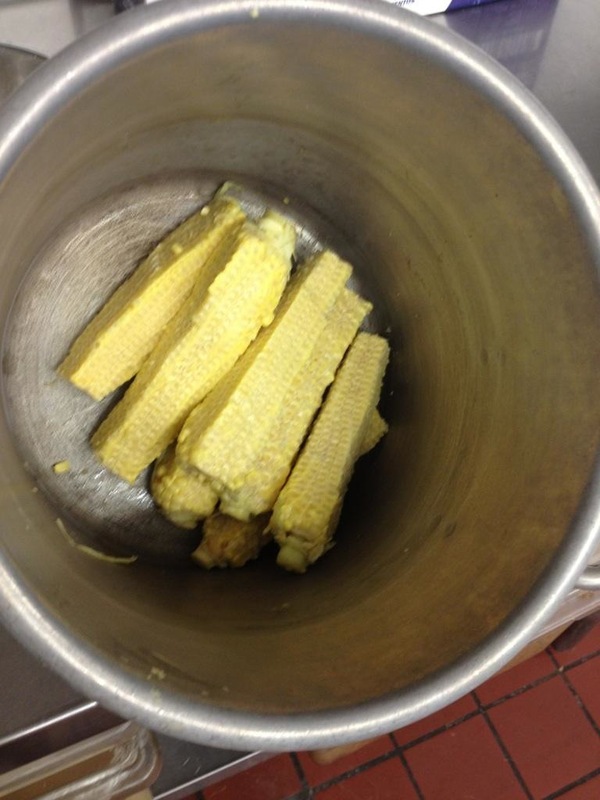 Save the cob and place into a stock pot and cover with one inch of water and bring to a boil. 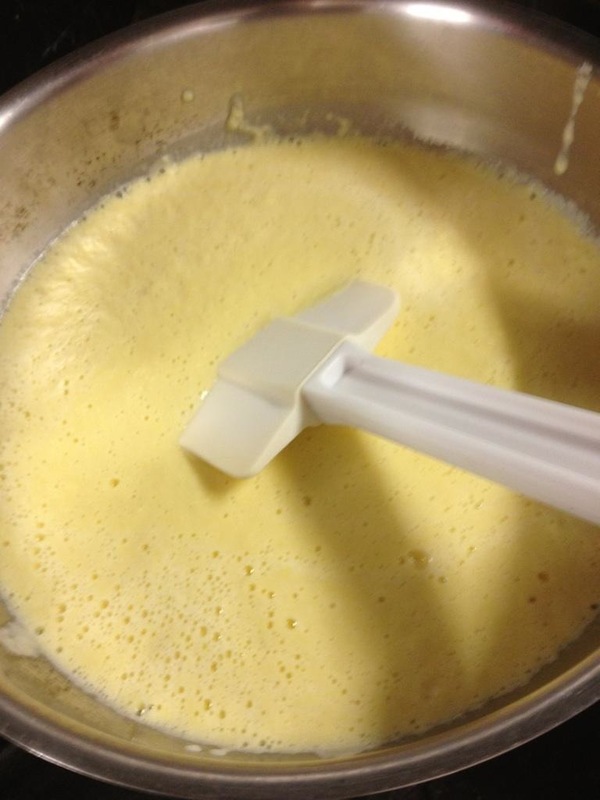 Reduce to a simmer for 30 minutes. Strain the liquid and reserve. 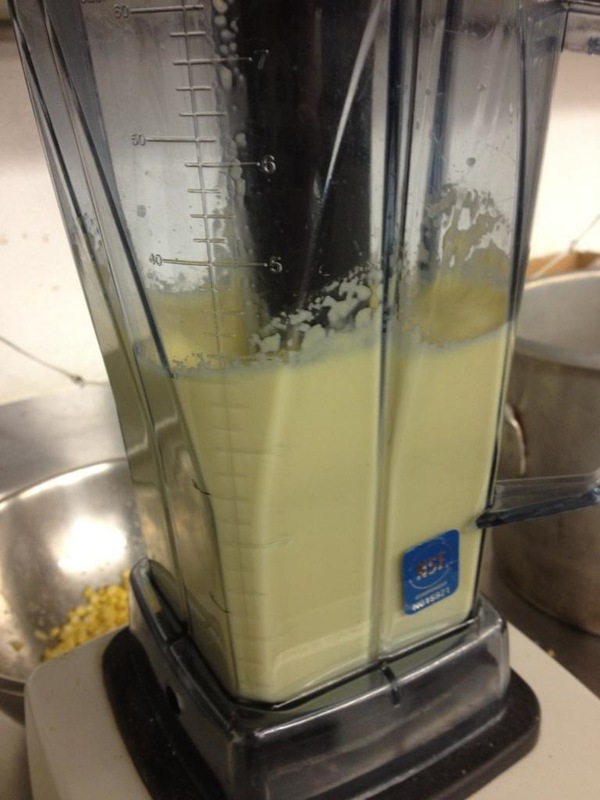 Place half of the kernels in a blender with one cup of the corn stock and puree. This is your corn juice. 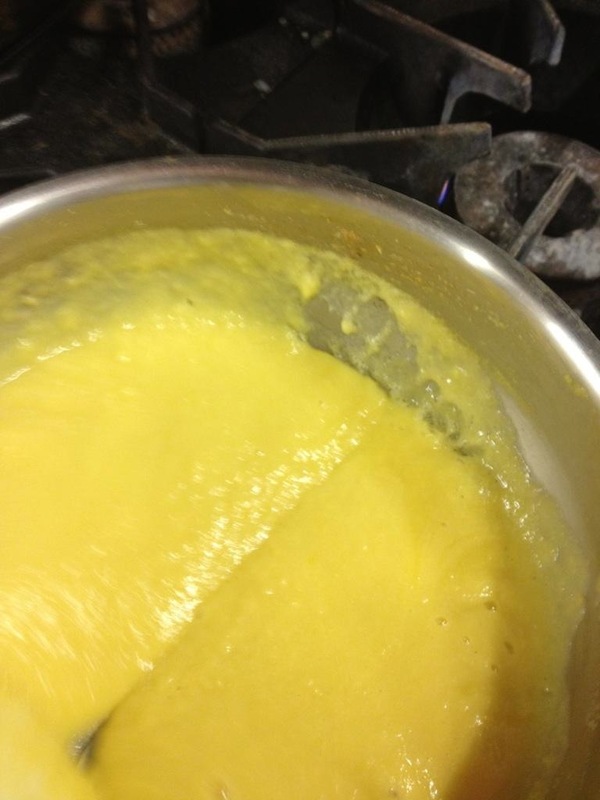 Now heat the corn juice on the stove on high and stir continuously until the mixture thickens. Doesn’t that look good??! And if you are craving some more delicious vegetarian dishes from Chef Curry, there are still a few spots left for tomorrow night’s Vegetarian Beer dinner at the Brat Haus (details here). And yes, sweet corn is on the menu along with a nice variety of beers from Odell Brewing Company. And if it is heirloom tomatoes that are on your mind there are a few heirloom tomato dinners around town that you may want to try. 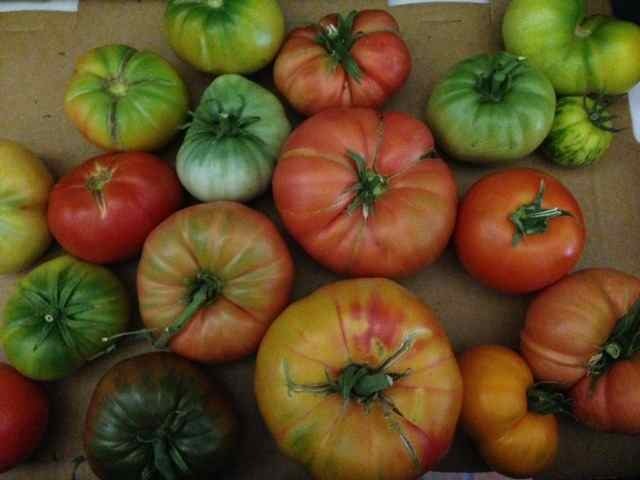 Beckett’s Table is having Heirloom Tomato week all this week. In previous years he has done a crab BLT and a red wine marinated flank steak with corn and heirloom tomato caponata, (click here) so I can’t wait to see what he does this year. And Kevin Binkley is holding an heirloom tomato dinner at Binkley’s on June 19th. If you haven’t been before, it is quite an evening, take a look at last year’s dinner (click here), it was a feast!